The myth is equity investing is risky business. Find below a chart to show how it makes sense to stay invested in stocks in the long run. Holding stocks for a year or so may give negative returns but if held for more than 5 years returns have always been positive. (Even in 2008 when the markets crashed). So equity investments are not that risky if held for more than 5 years. 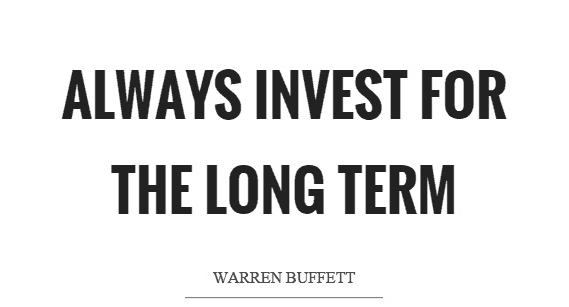 If we have a good portfolio of stocks timing doesn’t matter, if held for more than 10 years expect double digit returns. To top it all the chart below only shows index returns & stock portfolios outperforming the index will give higher returns. Please note that returns calculated are only on the principle and not dividend, if included returns will be higher.